Dr. Schwartz developed Internal Family Systems in response to clients’ descriptions of experiencing various parts – many extreme – within themselves. 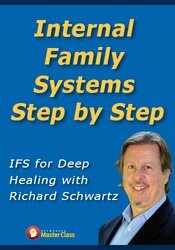 He noticed that when these parts felt safe and had their concerns addressed, they were less disruptive and would accede to the wise leadership of what Dr. Schwartz came to call the “Self.” In developing IFS, he recognized that, as in systemic family theory, parts take on characteristic roles that help define the inner world of the clients. The coordinating Self, which embodies qualities of confidence, openness, and compassion, acts as a center around which the various parts constellate. Because IFS locates the source of healing within the client, the therapist is freed to focus on guiding the client’s access to his or her true Self and supporting the client in harnessing its wisdom. This approach makes IFS a non-pathologizing, hopeful framework within which to practice psychotherapy. 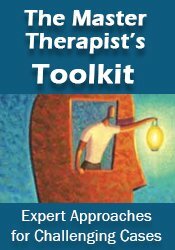 It provides an alternative understanding of psychic functioning and healing that allows for innovative techniques in relieving clients symptoms and suffering. In 2000, Richard Schwartz founded The Center for Self Leadership in Oak Park, Illinois. 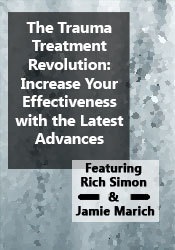 Dr. Schwartz is a featured speaker for many national psychotherapy organizations and a fellow of the American Association for Marriage and Family Therapy, and he serves on the editorial boards of four professional journals. He has published four books and over 50 articles about IFS. His books include Internal Family Systems Therapy, Introduction to the Internal Family Systems Model, and The Mosaic Mind (with Regina Goulding), as well as Metaframeworks (with Doug Breunlin and Betty Karrer). Dr. Schwartz lives and practices in Brookline, MA and is on the faculty of the Department of Psychiatry, Harvard School of Medicine.